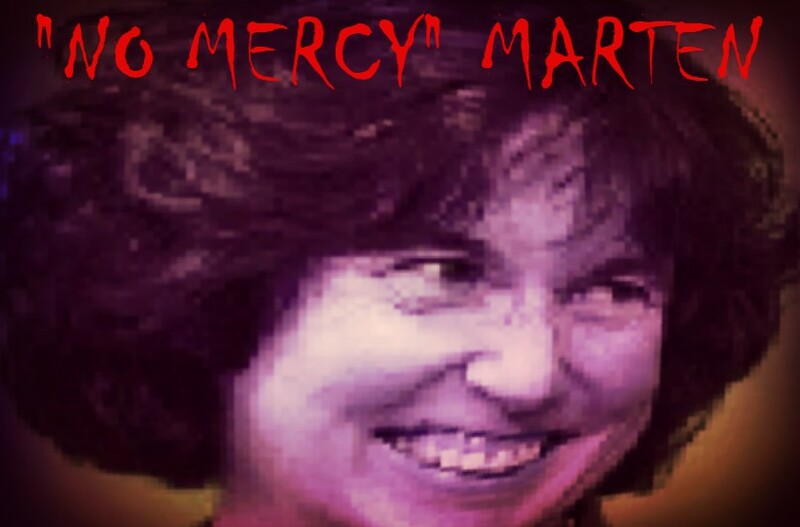 “No Mercy” Marten – San Diego Unified Superintendent Revokes Wednesday Minimum Day – Imposes Sweltering Heat Calendar Decision on Students and Staff!!! 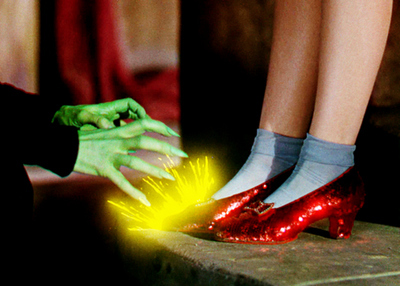 For many years, Marten has been obsessed with the “Ruby Slippers” prop from the “Wizard of Oz” implying she was a reincarnation of “Dorothy”. Is SDUSD Supt Marten really the Wicked Witch of the West? That is a distinct possibility since “No Mercy” Marten has just doubled down on her horrible decision to start the 2017/2018 SDUSD school year BEFORE Labor Day. All San Diego Unified Students, Teachers and Staff in ALL schools, even the ones with NO air-conditioning have been sentenced to horrible learning conditions for the 3rd day in a row. 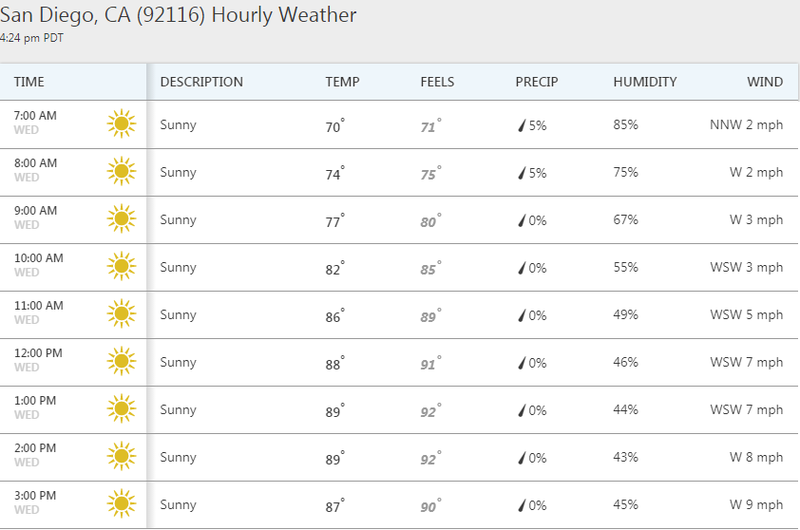 Here is the forecast for tomorrow…ANOTHER Heat Advisory and 90 degrees!!! Like San Diego Unified School District Stakeholders warned Supt.Cindy Marten through the Calendar Committee, Public Testimony and thousands of surveys, it is wrong to start the district school year before Labor Day. The reality of a possible heat exhaustion/stroke illness or death forced Marten to enact a “minimum day schedule” on Tuesday for FIFTY NINE schools and telling parents to keep their students at home if they are worried about them getting sick from the heat. REMEMBER: ALL of this disruption and health risk IN THE FIRST WEEK OF SCHOOL could have totally been avoided if Marten had just made the right decision and decided to start school AFTER Labor Day. And partial days and parent warnings are just further proving the Calendar Committee and thousands of SDUSD Stakeholders right…and ultimately much smarter than Marten. But like usual, the incompetent, Elementary School Superintendent Marten is an extremely slow learner…and compounds her lack of ability, judgement, ethics and knowledge by making a simple decision a complete disaster. Despite the severely negative physical and operational impact on Students, Teachers and Staff, proven by the SDUSD enacting the emergency protocols listed above, Marten has actually DOUBLED DOWN on her bad decision by revoking the “minimum day” excessive heat protocol for today, Wednesday, 8/30/17. That’s right, even with the knowledge through weather forecasts that Wednesday, August 30th will WILL BE EVEN HOTTER, Marten continues to jam her poor decision to start the school year before Labor Day down the throats of Students (as young as 4 years old), Teachers and Staff by eliminating any possibility of planned organized minimum day for Wednesday. Another school year, another HUGE operational blunder by Marten. Marten is coming up with legendary ways to prove her total lack of ability to fulfill the requirements of SDUSD Superintendent. It looks like the primary legend that Marten is creating is one that rides a broomstick.